Spring break might be the ultimate party week, but what if a big vacation is not in the budget? Stay home and have a party! No money for spring break? It’s tequila time! Don’t miss out on all the fun if you can’t make it to Mexico this year. Bring the party home with these five tequila cocktail recipes that will be sure to help you have fun without all the sun! 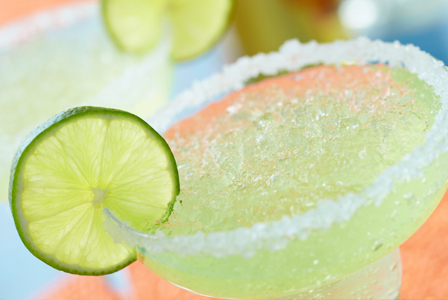 No tequila roundup would be complete without a classic margarita. Served frozen, this drink will help you have fun all week long! Blend all ingredients in mixer until combined. Rim glass with salt, pour in margarita and enjoy! Store in freezer to keep frozen. This cocktail is a twist on the classic bloody mary. It pairs perfectly with brunch and is also great for sipping by the pool! Add ingredients in a large glass over ice. Top with tomato juice and stir until combined. Garnish with lime wedge and celery stalk. This classic ’70s drink is making a comeback! How can you go wrong with orange juice, tequila and grenadine? Pour orange juice and tequila over ice. Stir. Slowly pour grenadine into drink. It should sink to the bottom. Add orange slice and cherry as a garnish. Tonic isn’t just for gin! Give a boost to your tequila with a little tonic and a squeeze of lime! In a glass, pour tequila and tonic over ice. Squeeze lime over drink, stir and enjoy! 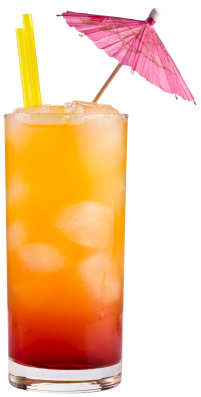 Wildly popular in Mexico, this drink is delicious and tart. Traditionally it’s made with grapefruit flavored soda, but I ditched the store bought soda and made it 100 percent natural. Pour tequila and grapefruit juice over ice and stir. Squeeze lime wedge into drink and top with a splash of seltzer water.